New Regulatory Requirement for Professional Liability Insurance – Are You Covered? 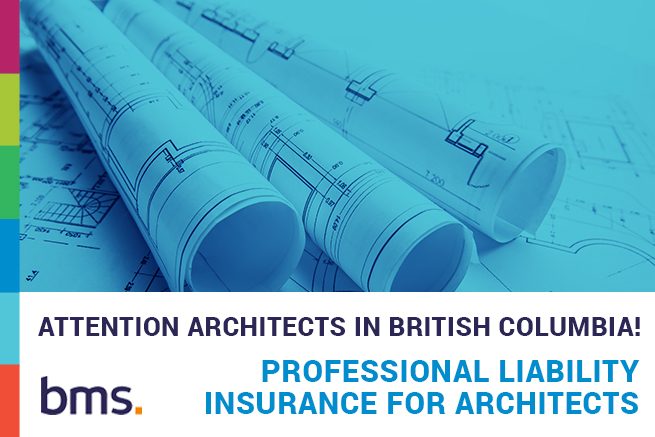 From February 1, 2019, certificate of practice holders, such as architectural firms, in British Columbia must comply with AIBC’s Professional Liability Insurance requirements. RAIC has partnered with a specialist insurance broker, BMS Canada Risk Services Ltd. (BMS), to provide RAIC members access to comprehensive coverage tailored specifically for architectural firms at competitive rates. To apply for coverage, or to obtain a no-obligation quote for professional liability insurance, contact BMS’s team of knowledgeable brokers at 1-844-294-2714 or email raic.insurance@bmsgroup.com.